DAK Self Storage is a privately owned self storage facility based in Leesport, Pennsylvania (Berks County). 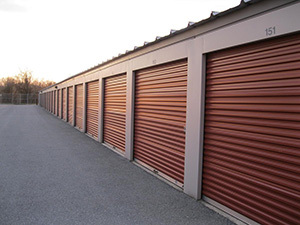 DAK Self Storage boasts many high quality self storage units and outstanding customer service. DAK Self Storage is a completely fenced facility that is regulated with a keypad PIN number of your choosing. The PIN number is needed to enter and exit the facility, with a separate keypad to enter the climate controlled interior buildings, allowing only climate control customers into that building. Our wide isles allow for tractor trailer accessibility. DAK is located conveniently off of highway 61 and is neighbor to nearby scenic Lake Ontelaunee. DAK also offers an onsite supply shop for all your moving needs. Check out our new online Payment/Reservation system for easy unit registration and payment. If you live near Reading or Leesport, DAK may be the best self storage option for you. Please reachout to us via phone or online consult and we can help you figure out the best size and rate for your needs!